Check out videos of WEFUNK in the studio, playing live on tour, interviews and more. Professor Groove talked in-depth with James Brown's Soul Sister #1. 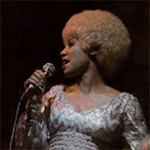 Get the full story about her start in music, her time with James Brown, further exploits in funk, and her latest album and biography.